Sometimes, the shoemaker has no shoes. Since I am a web designer and work with websites all day long, you’d think I would take care of my own website first. Wrong. In 2018, 20 years after I hand-coded the very first iteration of my website, I finally redesigned the thing and brought it to its current state. Above is a screenshot how the site looked in 2017 before I undertook this major redesign and moved my website entirely to WordPress. My main goal was to ensure that my site reflected that my web design side hustle had morphed into a real business: Content + Design LLC. I wanted a clear call-to-action for prospective nonprofit clients and personal brands that needed help with web development, content strategy or site maintenance and updating content on their websites. 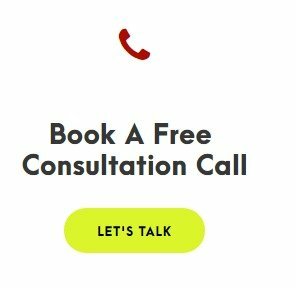 I wanted an easy way for them to sign up for my freebie “A Call-to-Action That Delivers”, to schedule a consultation call and eventually to work with me. I wanted to give them tools to learn the basics about fine-tuning their content and their design to have the biggest impact. I created a new color scheme, rewrote the entire content and added a blog dedicated to content + design and media-related topics. I needed a clean layout—without infinite scrolling, interactive images and videos, and text in huge fonts that fades in and out and fills the screen when you scroll down—all design elements that don’t work for me personally (but might work for you). For my own site, I needed a content-driven and user-friendly design with an unobtrusive opt-in for my freebie and a pop-up form that wasn’t annoying to prospective clients who just wanted to learn about the services I offer and how to schedule a call. I wanted a site that showcased my view that less is more in design. It goes without saying that my site had to be mobile-friendly and on a secure server, using SSL encryption. How times have changed. Look at screenshots of my first site in 1999 (top: homepage; bottom: a landing page). It was a heavily text-based, dark-colored website, and I wish we had screenshot options back then so that I could have captured more views. But you can check out a few more screenshots of my site going back to 1999. The blue arrow blinked (and I incorporated at some point a little GIF that showed a door opening as a way to help a user “enter” the site. That was the style back then). The site was entirely built around a strict grid-like print-layout style, think rigid tables (and at some point, I hate to admit it, even frames). My email address was @compuserve.com, and I was really invested in 1930s typography. WYSIWYG editors, social media or blogging platforms? They were merely a distant possibility, a “what if?” dream. But it is fun looking back. 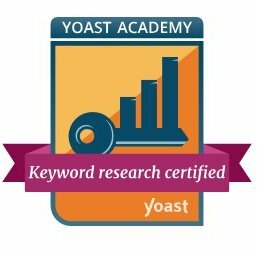 I experimented with HTML and made many (in hindsight) horrible design choices; our websites looked cluttered because we added everything we could add. I experimented, searched for my own unique style, and if templates would have existed back then, I would have scoffed at them. It wanted the site to be my very own creation. Using WordPress themes that we customize today to create websites almost feels like cheating. As designers, we worked at the backend and felt that we really got to understand the structure of each page and how it all fit together to form an entire site. We manually uploaded images into folders and painstakingly linked to everything, trying to keep the structure in place so as not to break the flow. There weren’t that many templates and how-to guidelines to go by. You coded your site and that was it. You had no options to drag and drop design elements in cool WYSIWYG editors or to work only on the front-end on predefined publishing platforms with nice interfaces that make the myriad design choices for websites now possible—and the need to constantly redesign your websites a must. We’ve come a long way. Here is a stunning infographic about the evolution of the web. A visual graphic by Mashable shows the progress in web design over the years. And check out here what Amazon, Google, Apple and Hotmail, among others, looked like in 1998. 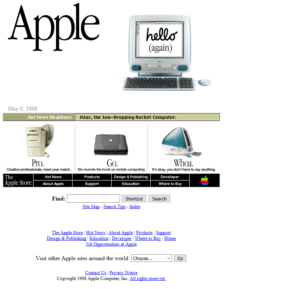 On that same note, here is a website dedicated to web designs of the past: What Was the First Site You Designed? It started with a Facebook group a few years back, where people could submit their own first sites they built. 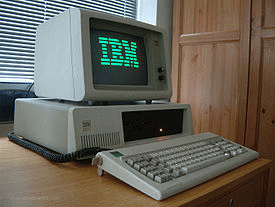 And then there is always Waybackmachine by Internet Archive to reminisce! It lets you search any website and see screenshots of its iterations over time. 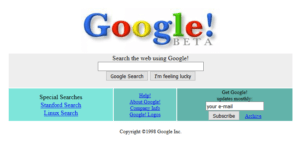 Or visit the digital Web Design Museum, where you can browse 900 curated screenshots of well-known brands and companies, ranging from 1995 to 2005 (here are images of what Google’s search page and Apple’s homepage looked like in 1998). To all of you who grew up with social media, blogging platforms and drag-and-drop website builders to publish your stuff: Don’t smirk. Not so long ago, we were left to our own devices to come up with what you might take for granted now. We built the foundation for everything that you are using, and improving, now. The New York Times’ Internet Web Archive lets you browse past online editions of the Times. The archive stores copies of the original HTML, preserving the design and original presentation of the pages.